Is blue only for boys and pink only for girls? You no longer need to feel pressured to stick to one gender normative colour for your kid’s room. Even though gender isn’t necessarily colour exclusive, there are definitive associations between colour and gender. Here are a few ways that raising kids with a gender-neutral colour scheme can actually have various positive effects on their wellbeing. Gender neutral colours such as yellow or green are known to increase creativity and stimulate the imagination of little ones. Yellow has also been known to increase memory function. Choose colours carefully and don’t be afraid to change the schemes to avoid them becoming boring or inconsistent with any particular stage of life that your little one is at. Non-gendered colours such as green and yellow are best for encouraging creativity and the imagination. 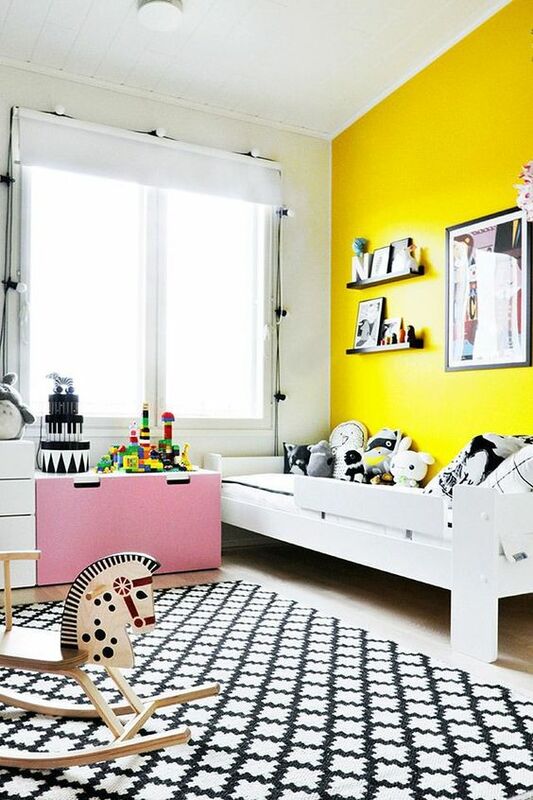 You will find that a gender-neutral kid’s room will take your child from being a little one right into their early teen years as gender neutral colours are timeless and we tend to not grow tired of them as easily. It’s also much easier to mix and match new or old decor items in a gender-neutral colour scheme. A monochrome color scheme is the easiest to add colour to and change up throughout the years. Gender neutral rooms are often much more functional than all-pink or all-blue rooms. Whether siblings are bunking together or you’re hosting a cousin sleepover, a gender-neutral colour scheme caters to all different likes and personalities and will serve as a peaceful space for all sorts of fun events over the years to come. A gender-neutral room creates a harmonious environment for siblings to spend time together. Growing up with a gender neutral room can make it easier for your child to adapt to changes in their life. 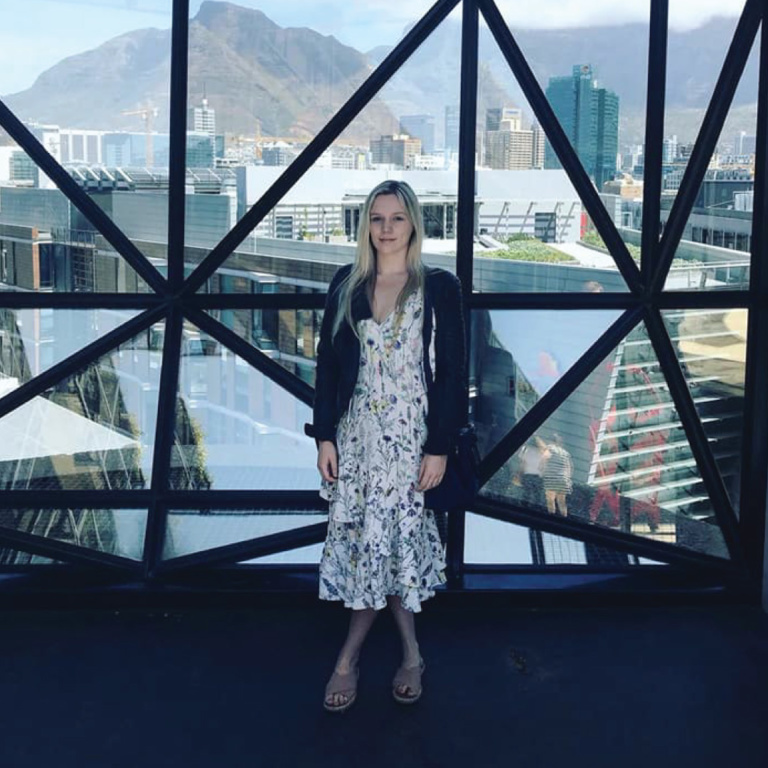 A gender-neutral room can also help to boost creativity and to develop their own personal and unique taste. 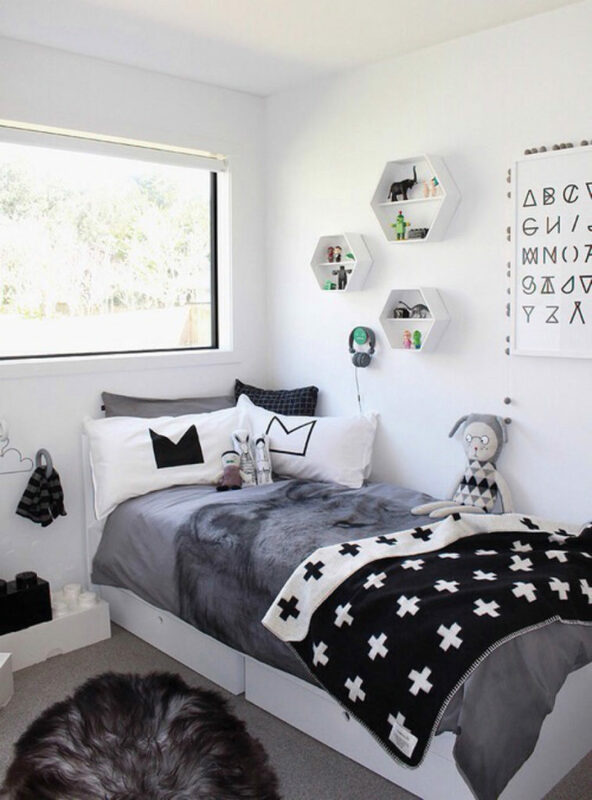 Have a look at some of our favourite gender-neutral kid’s room on our Pinterest board.